A Partner of the Firm, Victoria holds a B.Sc. majoring in Biochemistry and Microbiology, a M.Sc. in Biochemistry and Ph.D. in Biochemistry. She was awarded a Post-graduate Scholarship to undertake research towards her Ph.D. in the field of phosphorylation and nuclear localization of a co-chaperone protein using molecular biological techniques. She has also completed a Bachelor of Laws degree. Victoria’s Post-Doctoral research was carried out in the Hepatitis B Virus (HBV) Research Unit of the Haematology and Molecular Medicines Department of the University of the Witwatersrand in Johannesburg, South Africa, where she focused on the improvement of hairpin design against Hepatitis C Virus (HCV). During her time in this role, she assisted in the legal aspects of the Unit’s collaborative research contracts, material transfer agreements and patent matters. Victoria then undertook further Post-Doctoral research in collaboration with the University of Liverpool in the United Kingdom, where she completed novel work in the field of chaperone mechanism for the maintenance of pluripotency in murine embryonicstem cells by knockdown of chaperone gene expression using RNAi-based technology. Victoria is a named author on six articles published in refereed Journals. She is also a named inventor on two patents relating to RNA expression. 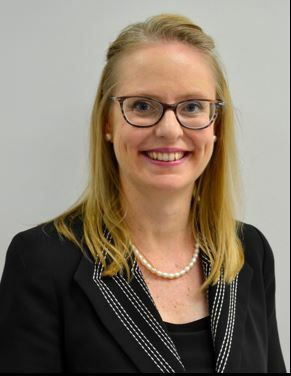 She is a Registered Australian, New Zealand and South African Patent & Trade Mark Attorney and is also admitted to practise as a Solicitor in both Australia and in South Africa. Victoria has assisted clients in prosecuting overseas patent applications for mining related inventions including mine support grout packs and reinforced safety netting. She has also worked with mining processing clients on contentious issues, assisting in Australian patent opposition proceedings involving the extraction of aluminium. Her experience in drafting patent applications for medical devices includes assisting clients in obtaining patent protection in the fields of humidification face masks and heart stents. Victoria’s professional practice includes drafting, prosecution and litigation of mainly Biochemical, Pharmaceutical, Chemical Engineering, Metallurgy, Process Technology and Mechanical matters before the Australian and New Zealand Patent Offices. She specialises in contentious Pharmaceutical Patent matters and has provided a number of validity and infringement opinions on patent matters. She also practises in the field of Trade Marks and Designs before both the Australian and New Zealand Intellectual Property Offices.